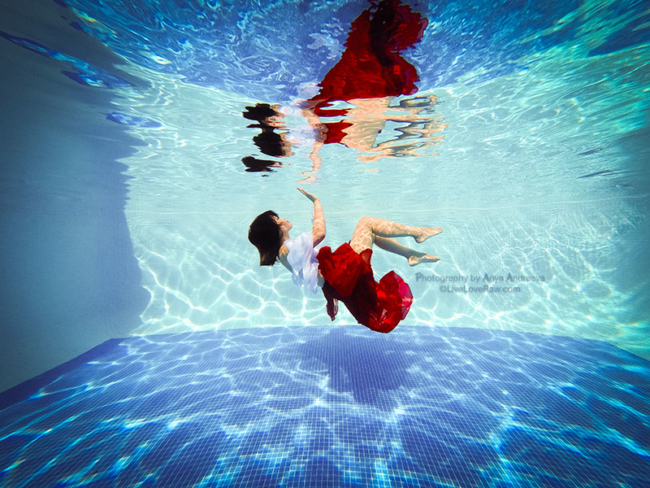 Feel like a Mermaid – book an underwater session today! The photos will be taken at a swimming pool of your choice, either in your pool or in mine (I have a warm pool so can do shoots in the winter!). Currently I’m in the Marbella, Spain area, but please keep in mind that I am travelling a lot so may be in your country soon – stay updated on my calendar. The shoot will take half an hour or longer, depending on the option you choose. Clothing is optional, if you have a private pool, then nudes are welcome. If you wish to wear outside clothes, I would recommend long, flowing dresses, tight yoga wear or a silk sarong. Very short dresses will be quite uncomfortable and you may need more time to get a nice pose. Some ideas to think about: shoes, jewellery, hair styles, props. 1 hour underwater session: 50€ to be paid in advance, non refundable. After the first hour, if you wish to continue shooting, the price will be 50€ per 60 minutes of extra time. You will be asked to sign a model release giving the photographer permission to use these shots for future promotional and commercial purposes. It may sound obvious, but it’s very important to understand that shooting underwater is VERY different to shooting on land. You must be a good swimmer. I am a trained rescue diver and certified emergency responder and will always give you guidance and make it as comfortable as possible, but ultimately you are solemnly responsible for your own safety and will be asked to sign a waiver form. 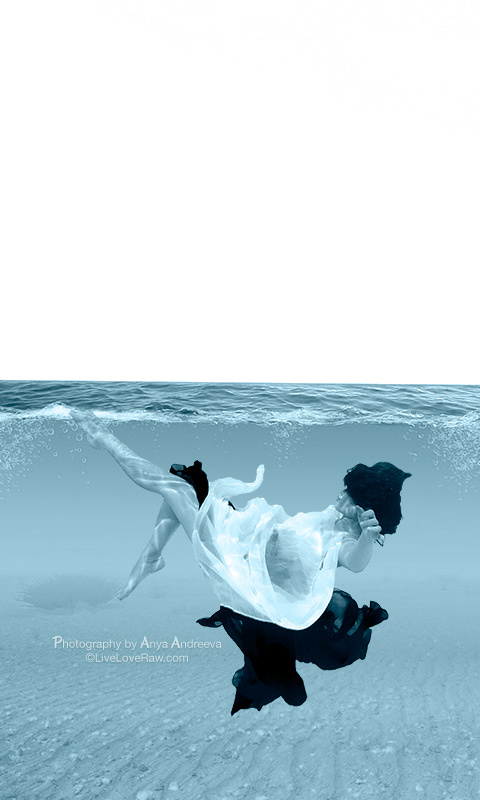 How to pose underwater: you EXHALE ALL OF YOUR AIR OUT on the way down – this will allow you to sink. Then pose as long as you can (without air). If you are uncertain if you can do this, please practice this at home before coming to the shoot. I feel this is important to say because I want you to be prepared. When you dive down, hold down your clothes. All of the shooting will happen on your way up, so try to make your rise as graceful as possible. Play with the surface of the water and your clothes. Try to keep a calm face, smile, open your eyes and experiment with different poses. It would be helpful but not essential to know how to do flips. If you’d like something quite specific – let’s discuss it! Have a look at the example below for inspiration. Prices for artistic edits are separate and will vary depending on the style you want.